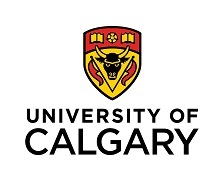 SES Consulting is excited to be part of delivering a multi-million dollar project at the University of Calgary working to upgrade their facilities. Phase 1 of the Utility Reduction Program will improve the environmental sustainability of the university’s research and innovation-related infrastructure, reducing GHG emissions by 9,000 tonnes and reducing utility costs by $1.1M per year. SES will be looking at retro-commissioning measures, mechanical re-design, building automation and lighting upgrades across campus, and partnering with Quantum Engineering for the lighting components of this analysis and design.